All plants require the proper amount of light to grow and remain healthy. Low-light plants rarely need artificial light, as they thrive in areas that receive very little light. Medium- and high-light plants have greater light needs and artificial lighting is often necessary when growing these plants in the home. Artificial light requirements also depend on whether the plant is grown for its foliage, its flowers or its fruit. Most foliage houseplants are tropical in origins and adapted to the lower light conditions provided under forest canopies. They range from low- to medium-light needs. Provide artificial light when no light from a window is available. In general, medium-light plants require no more than six to eight hours under artificial lights. Angelwing begonia, most indoor ivies, jade plant and peperomias prefer medium light but can tolerate limited periods of little light. Using artificial lights with the plants, either temporarily during the winter months or year-round, alleviates any lighting concerns. Flowering plants must receive the proper amounts of light to flower. The plants may still produce attractive foliage without artificial lighting, but will not be able to flower. For example, the peace lily adapts well to low-light, but must be given higher amounts of light to produce its white blooms. 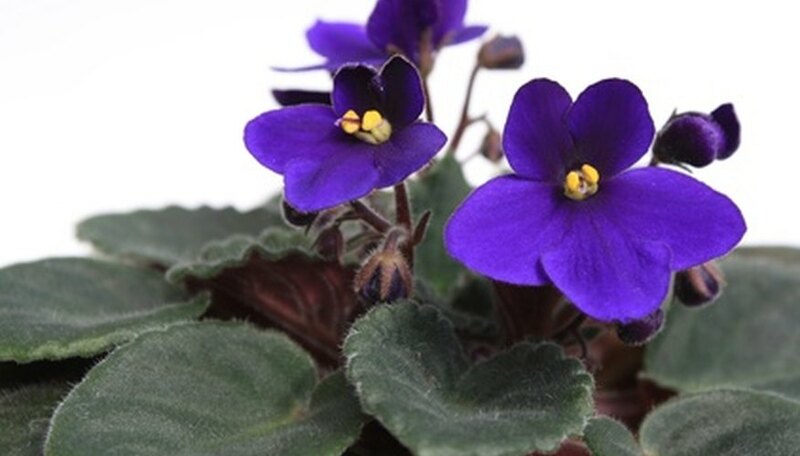 African violets and orchids also require high-light conditions in order to flower and remain healthy. Most flowering plants require at least 12, and no more than 16, hours of artificial light a day. Most fruiting vegetables will not produce under artificial lighting, as they require both the heat of summer and intense sunlight for production. All vegetable seedlings grow well under lights, which allows you to start vegetable plants indoors for later transplanting outside once the weather conditions are right for the plant. Seedlings generally require twice the amount of artificial light that they do sunlight, so 14 to 16 hours is recommended for most seedlings. Cool-weather vegetables and those grown for their edible leaves, such as lettuce, spinach and most herbs, can continue to grow under artificial lights through maturity and are often grown as indoor winter crops.